Resources to download for use in your home, school or office. You are welcome to download and print these FGF Printable Posters and Kindness Cards. Use them in your workplace or at home with your family. Or keep a few Feel Good Feb Kindness Cards in your wallet or handbag for those times when you’re struck with the thought to do a random act of kindness for someone. Our resources were created for the purpose of sharing. The only thing I request is that they are used for private and non-commercial use. The cards must not be sold, only given away with good intention. Feel Good Feb’s logo is trademarked and all graphics remain the property of Feel Good Feb. There are four different printable cards. 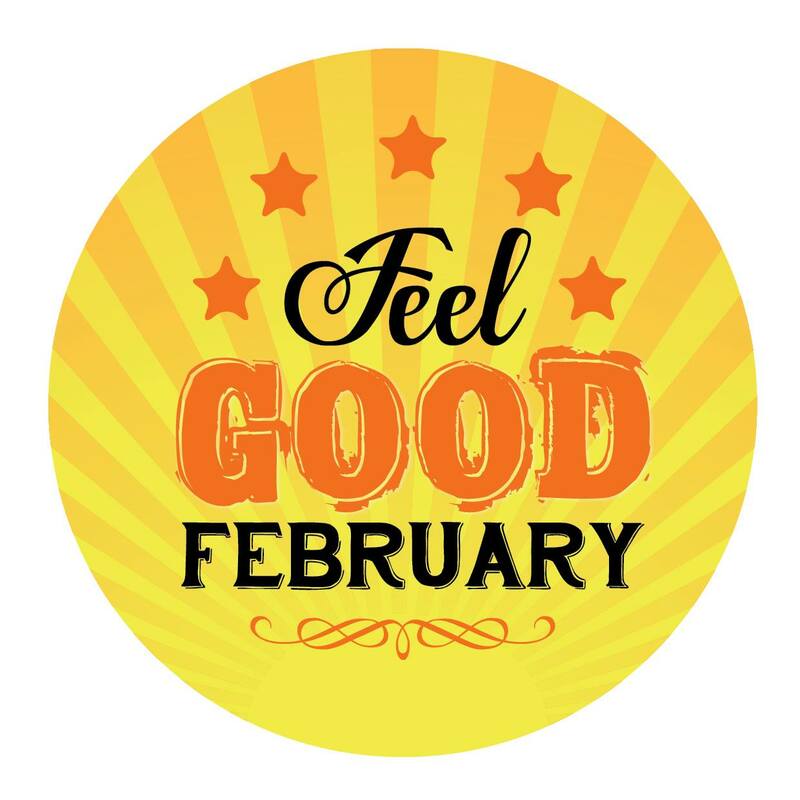 The cards titled “Feel Good February” are used in the month of February and the ones entitled “Feel Good February & Beyond” are used during the other months of the year. “If this will brighten your day, please take me. Pay it forward and do a good deed for a stranger in February.” If you leave a physical gift for someone, be sure to include this Kindness Card with it so that people are aware it’s meant to be taken. For example, you may want to leave some favourite books at a bus stop or at a train station for someone to read. Or if you are good at making jewellery leave a handmade piece with this card somewhere public, perhaps at a cafe. “If this has brightened your day, then be inspired to pay it forward with another good deed for a stranger in February.” Use this card when you do a random act of kindness. For example, if you leave some money with the cashier at your favourite cafe to pay for someone’s coffee or tea. Or if you buy some extra movie tickets for the people behind you at the cinema. Leave this card with your money. I’m sure people would be delighted to be recipients of such a surprise! Founder: Feel Good Feb and Kindness Is Catching.